So There. : Virtual Ice Cream Social - Ice Cream Maker & Recipe Book Giveaway! 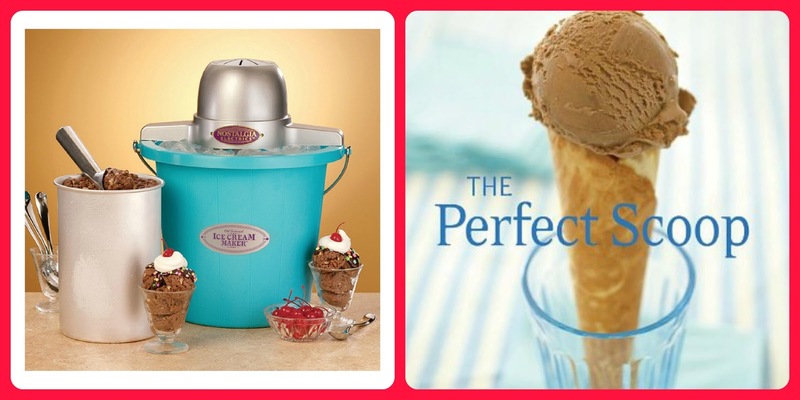 Virtual Ice Cream Social - Ice Cream Maker & Recipe Book Giveaway! But! To make your Gloomy Monday morning a bit better, I have teamed up with The Frugal Foodie Mama and some other great blog friends, to host this fun giveaway! All week she will have ice cream themed blog posts, including a guest post from yours truly on Friday! So stay tuned! Enter the giveaway below for your chance to win this adorable!!! turquoise ice cream maker and amazing ice cream recipe book! Bonus: if you already follow me on Facebook, Twitter, or Google +, there are some easy entries right there! So enter below, and get to winning! 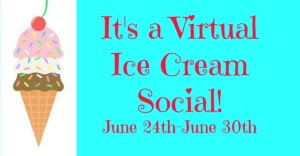 I would like to extend you all a BIG welcome to Virtual Ice Cream Social Week on the blog! Throughout the next seven days, I will be sharing my homemade ice cream wisdom and some great recipes (some that require an ice cream maker, others that do not). And in partnership with some of my fabulous premium June sponsors, I am hosting a week long giveaway on the blog for a Nostalgia Electrics 4-Quart Ice Cream Maker and a copy of The Perfect Scoop by Danny Lebovitz!